The National Weather Service investigated the cause of storm damage in Mansfield Tuesday and determined it was an EF0 tornado. The National Weather Service report said “trees came down in a very chaotic pattern” from the area just west of Storrs Road, or Route 195, between Cemetery Road and Bassetts Bridge Road and the tornado continued east-northeastward across Cemetery Road and ended just to the east of the southernmost portion of Echo Road. 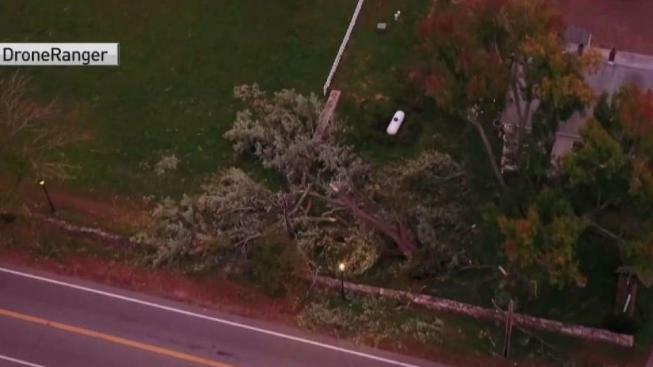 Several shingles were blown off of a roof on Storrs Road and they were found around 500 yards away, according to the National Weather Service. A resident in the area reported seeing a swirling mass of leaves and sticks. There have been eight tornadoes in Connecticut this year, making it one of the most active years for tornadoes on record.